Faith Journey Blog Hop – Welcome! Beautiful card, and love how you reminded everyone of the card drive! Beautiful card. Love that you embossed the background paper! So Beautiful! Glad you are sharing info on the card drive too! 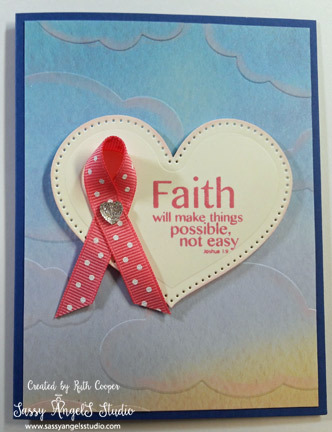 I love how you used the Faith Journey Print ombre paper! And a great push for the Be Brave card drive!